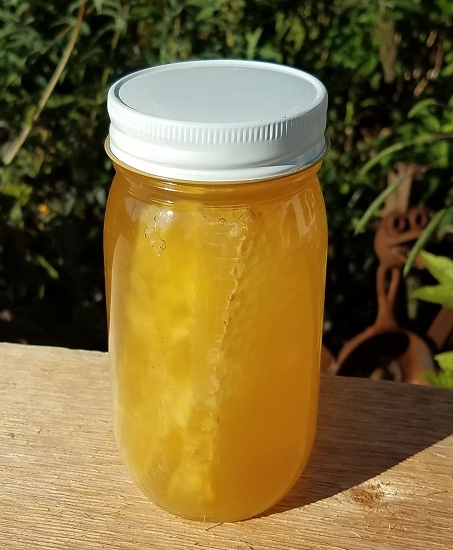 A chunk of cut comb honey in a pint jar - 24 oz. The jar is then filled with clover honey. 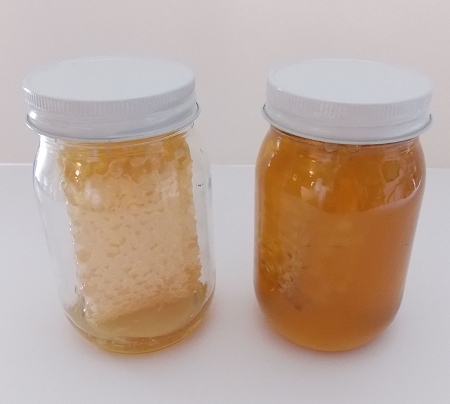 We make our chunk honey by cutting a large chunk of comb honey (6-8 oz.) from the beehive. We then place this chunk honey into a pint jar which is 24 oz. (nt. wt,) and pour clover honey over it. This is the way honey used to be sold years ago. Love this Honey. I also like the chunk in it. Just like it used to be sold. Flavor is wonderful. I will be buying more and the others also. Thanks. This is fantastic honey. All I can say is that the bees in Ohio know what they are doing. I have ordered the same thing from about 4 other places and yours is by-far hands down the best! 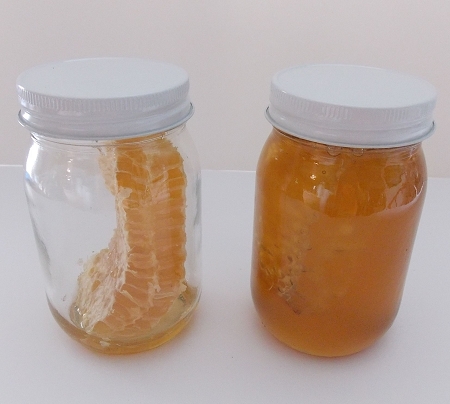 We sell your honey in our store and it is gaining popularity fast! We absolutely LOVE this honey. WE have been looking for this kind with the comb and now we have found it! I use it in my tea, salad dressings and so much more! Great honey with the comb. So glad I found your website! I've had this comb honey before so it's no surprise that it's still great tasting. I've had difficulty finding comb honey and will continue to purchase it here. Love, love, love this honey with the comb. Darn right delicious. I also give my German Shepard about 1 1/2 tbsp in her dry food 1x a day, very good for a dog & my digestive system. We both love your honey. My children have just tried honey comb for the first time and they LOVED IT!! They said it was so much better than the processed stuff in the store! 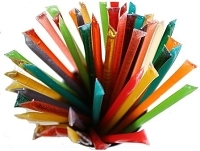 :-) I'm so very glad I could share this childhood treat!! Best honey we have ever had. Thank you bees! please see my other review, I reviewed them together. Great product, great customer service and great company to deal with. I will be ordering again! As everyone else states, this is as good as clover honey gets. Love it! As always a great product, thank you bees! And thanks to eBeehoney for packaging and sending it our way. It is like Christmas here when your package is at the door. Absolutely amazing. This is by far the best honey and honey comb I have ever tasted. I actually ate all of the honey comb out of the jar within a week and had to come back to order just a comb. The honey itself is so sweet and natural tasting. I never realized how fake the honey in grocery stores tasted until I tried real honey from a beekeeper. Shipping was really fast too! The title says it all. Delicious honey, love the honeycomb, tastes so much better than what Ive found in stores. I recently started making homemade beauty products, candles ect. This was my first time making a purchase & I'm hooked! Not only did my package arrive quickly & in great condition! The jar still felt cool to the touch, So authentic! And for the price, it's a steal! This honey is so versatile whether you're putting some on a piece of toast for breakfast or making a homemade facemask. This is the honey for me. Needless to say i'll be buying my honey here from now on! Ordered two jars of the chunk honey, which is the only kind I like to eat, and it is delicious. Came packaged so everything arrived perfectly. I ordered lots of honey for Christmas and all arrived packaged nicely and very happy with the quality! Thanks so much! I am working in Kuwait and I ordered the pint of Chunk Honey For my parents who are in WA state. 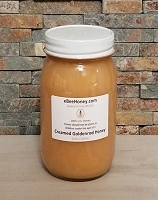 I was able to order without any hastle, It was very easy to track the package to its delivery and my parents loved the Honey. 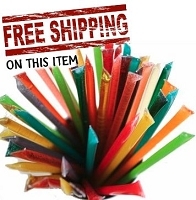 They loved it so much I order some for my siblings. Thank you. Love the flavor and the comb just adds to it. First time buyer and intend to buy again. Comb and honey arrived intact, tasted great and were of high quality. Quick shipping and smooth order processing. We are amateur bee keepers and have had very bad success in the last few years due to the decline in bees and disease jn the hives. This is just one of the reasons we appreciate the hard work in bee keeping and honey production. 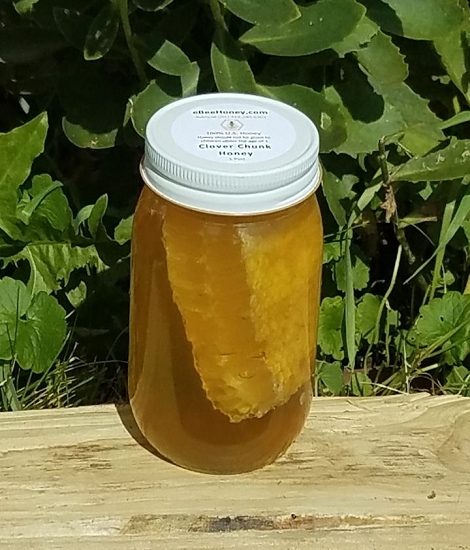 I got some comb wildflower honey for my husband as a just because gift and he was thrilled. It is delicious. it arrived quickly and was packaged in a way to prevent damage. thank you. 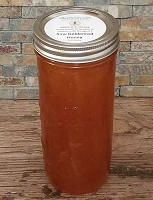 use the honey to help build up the immune system for my grandson. helps get rid of the sniffles from his allergies. It helps a lot plus now its a nightly routen. First it was raw Tupelo Honey that I bought here that I''d never had before. Now comb honey. Honestly I was a bit unsure if I would like it which is why I bought the chunk pint instead of the straight comb. Well color me a convert! Spread on toasted homemade bread it is fantastic. And yes the wax is very soft and easily consumed. Kinda like the rind on Brie cheese. Due to shipping out to CA, had to order a few of them. 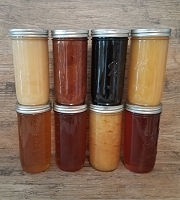 Glad I did the chunk honey is fantastic and planning on giving out as gifts to some friends. Thanks ebee!